How can we define the concept of best interests? Let's consider that it has to do with what is important to the child - what is necessary to ensure that he or she leads a dignified and happy life. In other words, for all decisions that concern a child, the impact of the decision on the child's life must be taken into consideration and it is his or her interests that must prevail. This concept, laid down in the very first articles of the International Convention on the Rights of the Child, is a general principle that must- or should - be applied to numerous situations, including for example, in the event of the separation of a child's parents (see episode 12 for more information about this subject), in cases of adoption (see episode 18) or with respect to a child's education (see episode 38). 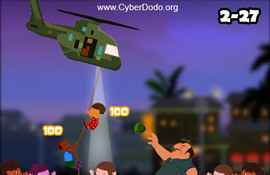 For this mission, CyberDodo has been given the opportunity of being assisted by the Town of Elne that organizes the ‘Humanitarian Meeting' every year (Click on the picture to go to their site). 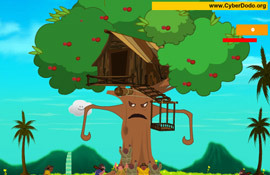 If you want to improve your knowledge on the best interests of children, there is also a cartoon, a case file and a quiz available. Your mission consists of finding the keys that are hidden in each level. 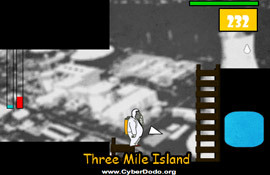 Use the arrow keys to guide CyberDodo (Left arrow to go left, right to go right, up to go up and down to go down). 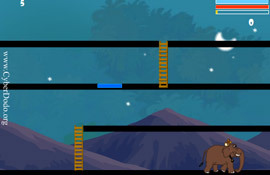 Press the “Shift” key for CyberDodo to go faster and the space bar for him to jump. 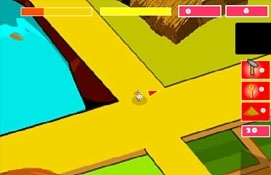 The ‘Ctrl’ key will help you to defend yourself against your enemies by throwing balls at them. 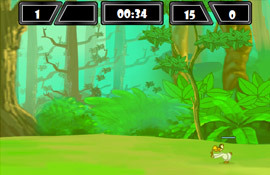 To move quicker, you can use the catapult that you will find in the game. 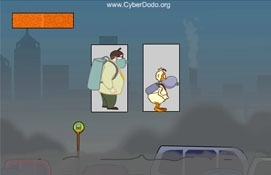 Use your mouse to move it, a red and white arrow will appear to help you to decide the direction and strength, as soon as you are ready, press the left key to launch CyberDodo. The white triangle close to CyberDodo at each level will also help you, it will very simply indicate the direction in which the key is found! You will also cross over a treasure chest with a question mark below it, which means that there is a surprise inside... perhaps a good one with an extra life, bonus points, healing or flying powers, but you can also get much more dangerous surprises. So you should only open the chest if you truly need it. At each level, you will have a limited time to find the key, so don’t waste time along the way. Final hint, you will see wooden panels with an arrow and a cross, they are there to help you avoid going in the wrong direction, here is some advice: follow what they say. 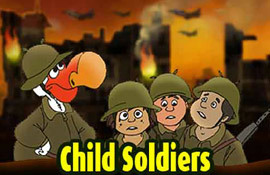 Right now, go ahead and play, so as to ensure that the best interests of children are respected everywhere. Good luck in this great adventure consisting of no less than 8 levels!